​CLOSED TOED SHOES ARE MANDATORY TO PARTICIPATE ! Yes, you must be at least 14. 14-17 REQUIRE a parent or guardian throwing with you. GRAB SOME FRIENDS AND COME ON IN! with onsite catering/bar service available now! Our coach will do a brief safety talk, throwing demonstration, and game description and then leave you to throw! Each lane holds up to 12 guests and if your party has less than 6 you may share a lane with others. ​ Your coach will begin your experience with a safety briefing, then move on to instruction on how to throw to get every member of the group sticking the axe!! 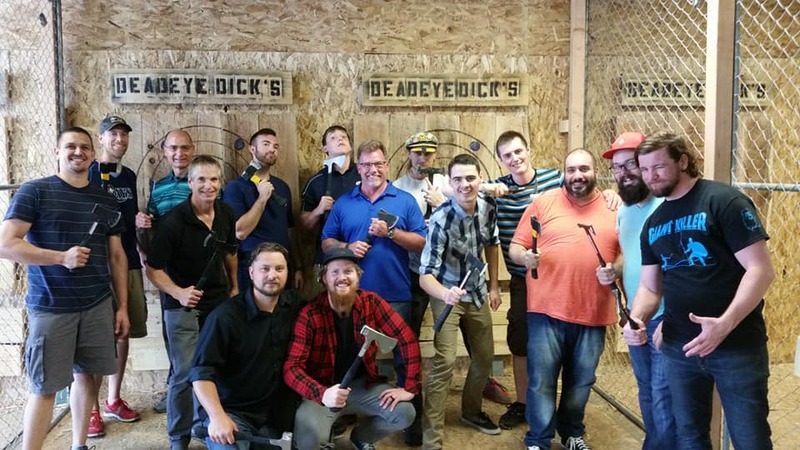 After you're feeling confident, we move out of your way and let the axes fly! ​With lots of practice you can start to focus on making your throws more accurate. Before you know it, you will be hitting the bulls-eye every time! WHISTLE PUNK EVENT requires a minimum booking of 6 lumberjacks to reserve your scheduled time. # of reserved targets dependent on final head count. Caribou Bill party is the perfect choice for larger groups ! 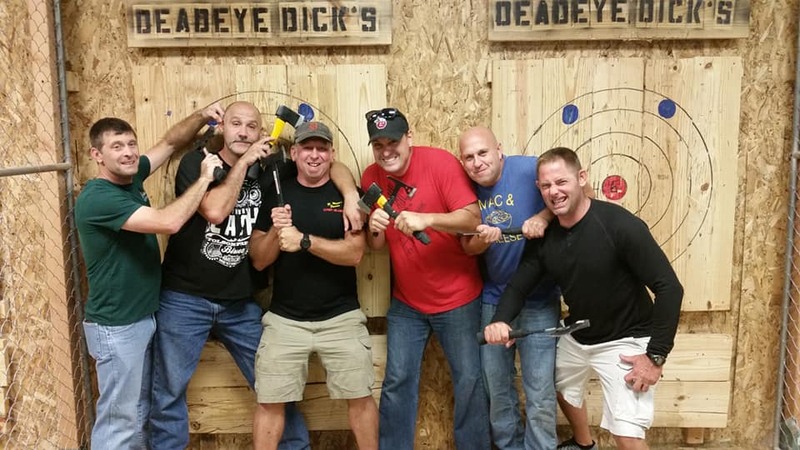 ​Your coach will begin your experience with a safety briefing, then move on to instruction on how to throw, to get every member of the group sticking the axe!! ​With lots of practice you can start to focus on making your throws more accurate. Before you know it, you will be hitting the bulls-eye every time!